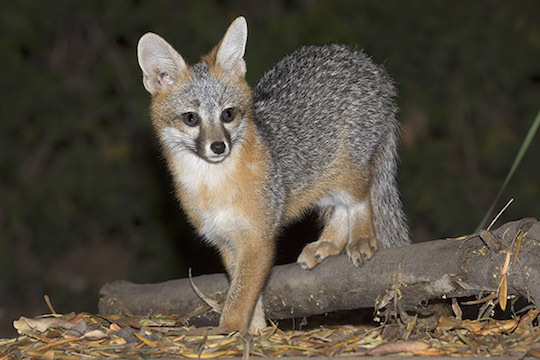 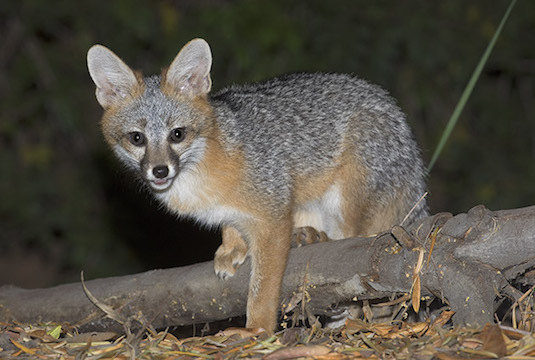 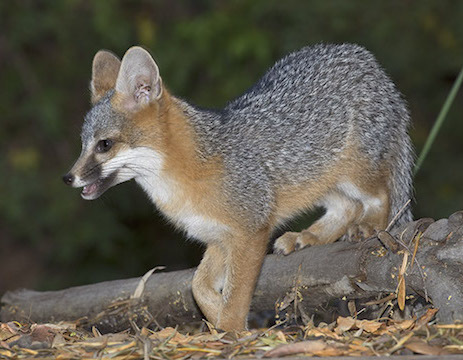 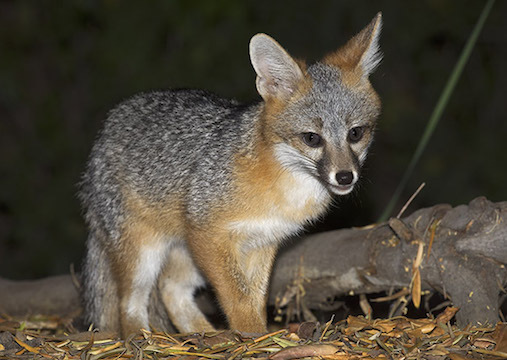 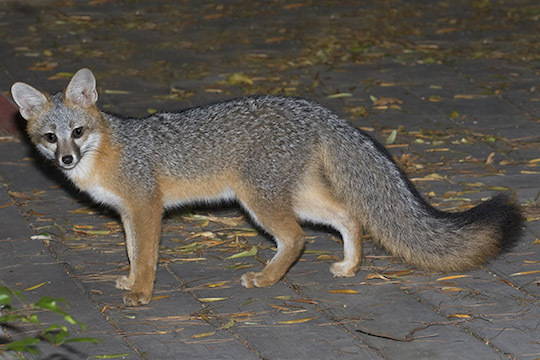 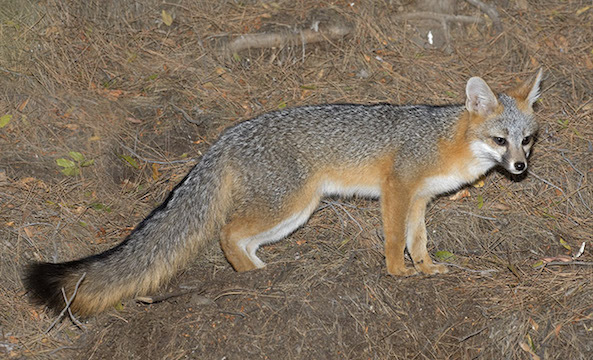 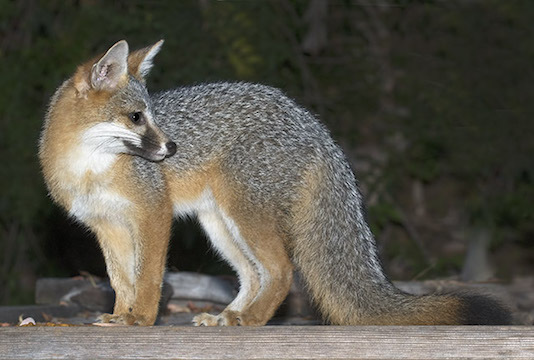 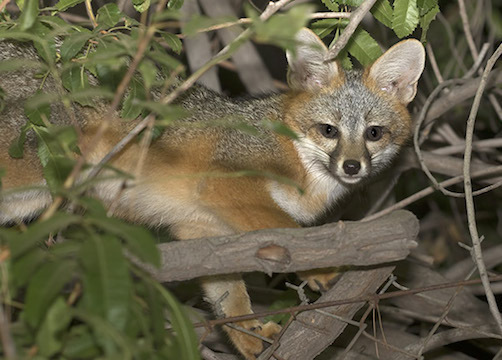 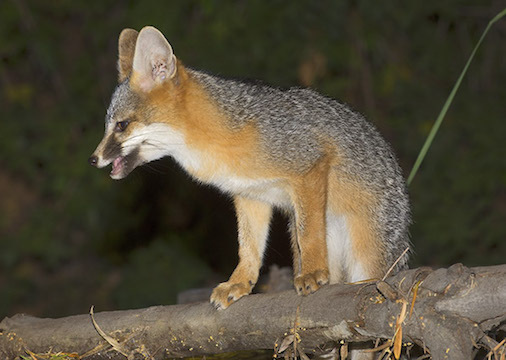 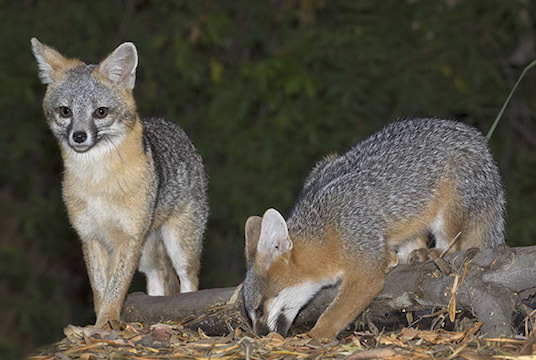 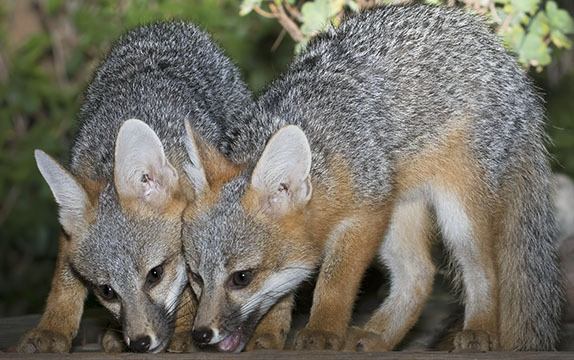 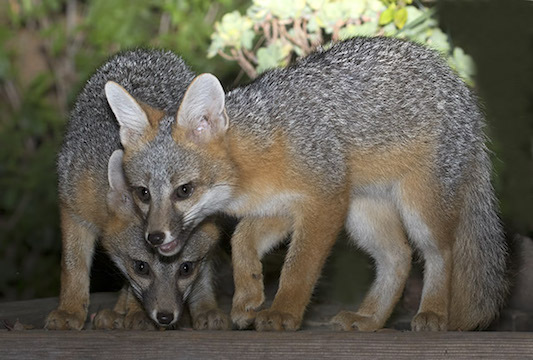 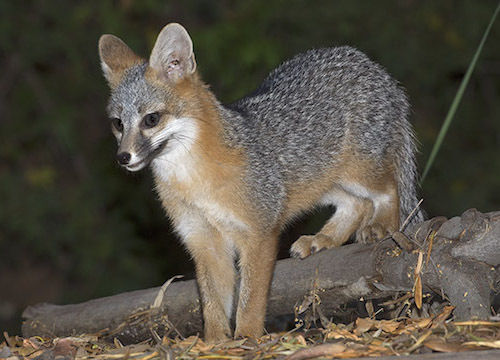 The gray fox (Urocyon cinereoargenteus) is a widely-distributed canid that can be found from southern Canada to the northern part of South America. 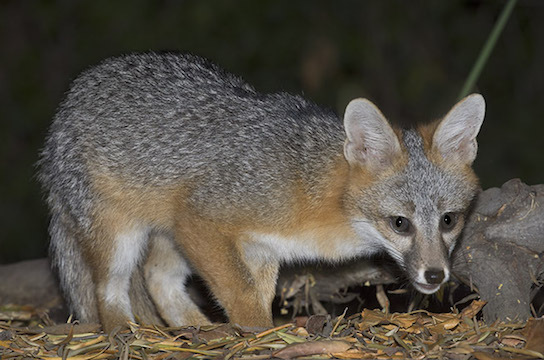 It lives in many kinds of habitats, including urban areas, and I photographed these in my back yard in Riverside, California. 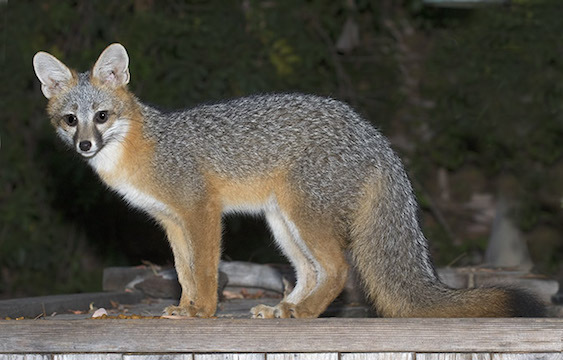 Gray foxes are surprisingly arboreal and are often seen up in trees; these individuals spent a lot of time running around on our house roof.